Provide a pair of wall-mounted connections for coaxial cable with the CE-TECH White Dual F-Connector Wall Plate. This wall plate is constructed of durable plastic. The new PowerClip for Google Home Mini puts Google Assistant in the most convenient places possible. The PowerClip's easy, plug-in design untethers your device from its power cord, freeing up precious counter space and your imagination. Get creative from the kitchen, to the bathroom, to the garage, PowerClip provides a clean and simple way to expand your growing smart home. Extend the range of your existing Wi-Fi network and eliminate dead zones with the D-Link AC1200 Dual Band Wi-Fi Range Extender. Plug into any outlet between your wireless router and the dead zone to boost your Wi-Fi Range to that hard to reach spot. Use the LED signal indicator to find the best location to extend your network. Get optimal Wi-Fi coverage with zero guessing. Digiwave 1 In 4 Out Indoor Amplifier helps enhance the performance of all passive indoor antennas. It was engineered specifically for digital signals but it also supports analog signals. If your antenna is in a quirky or challenging area, the ANT0104 will easily transmit a signal that's crisp and clear. It optimizes signal for the best possible reception through improved gain and also preserves signal purity with Extremely Low-Noise (ELN) circuitry. DSL Filter with Dual F-Connector Wall Plate in White Provide a pair of wall-mounted connections for coaxial cable with the CE-TECH White Dual F-Connector Wall Plate. This wall plate is constructed of durable plastic. 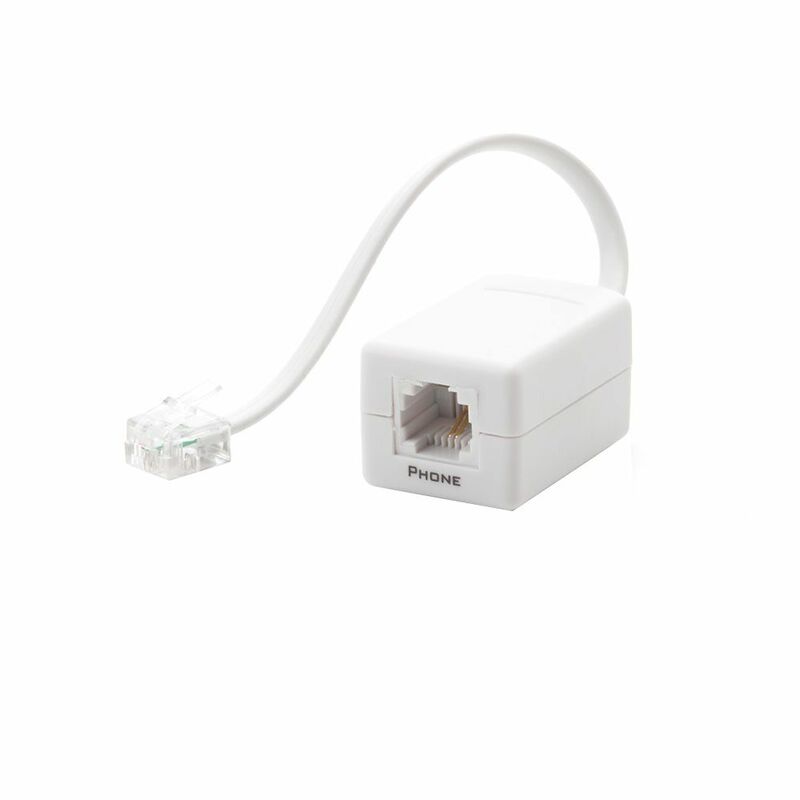 DSL Filter with Dual F-Connector Wall Plate in White is rated 5.0 out of 5 by 1.